Food Grade Diatomaceous Earth is a useful and natural way to control fleas in a multi-cat environment or, for example, for cat breeders. 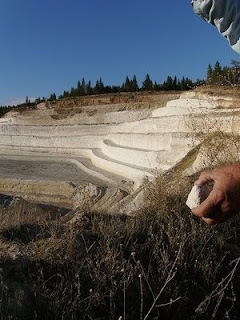 Diatomaceous Earth is dug from the ground as a soft rock and processed to be edible. It is regulated by a number of standards agencies such as the US Food and Drug Administration. How, though, does it control fleas, parasites and insects? It can be sprinkled on the floor (I guess you need a suitable type of floor) and it kills fleas by cutting their external skeleton and desiccating them. As part of the flea’s life cycle the flea spends time on the ground. The flea also jumps on and off the host, which might be our cat. It is when the flea is on the ground that it is killed by diatomaceous earth. Perhaps the leading point about this product is that it is natural, i.e. no chemicals and it works in a physical rather then chemical manner. The reason why it is made suitable for eating is because it is used to kill insects that migrate to animal feed. I work for a company that sales diatomaceous earth and I was wondering if you would be willing to post a link to our page at diatomaceousearth.net. By doing this your readers would be able to easily see where they could purchase DE as well as getting more information about its uses. If I don’t hear back from you before, I’ll be contacting you again next week.